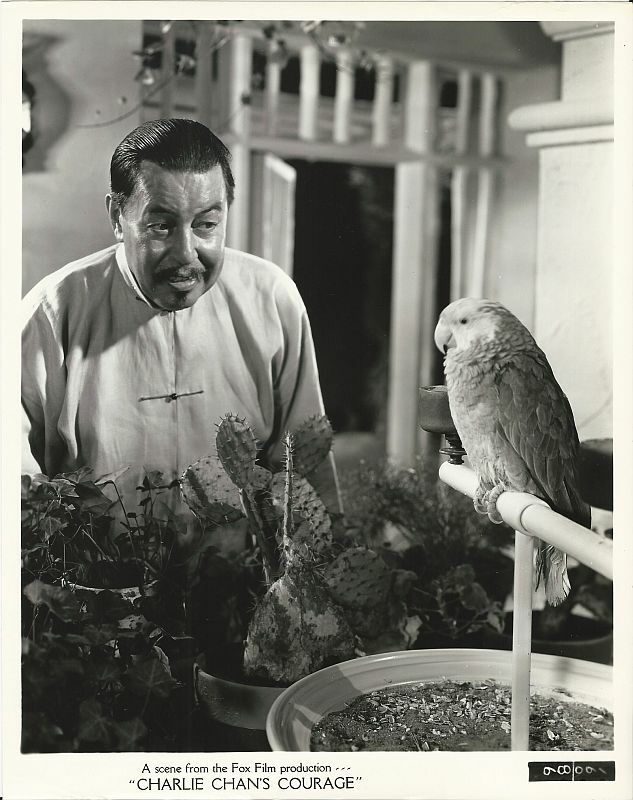 Charlie Chan disguised as Chinese servant, Ah Kim, with Tony, the Chinese Parrot. 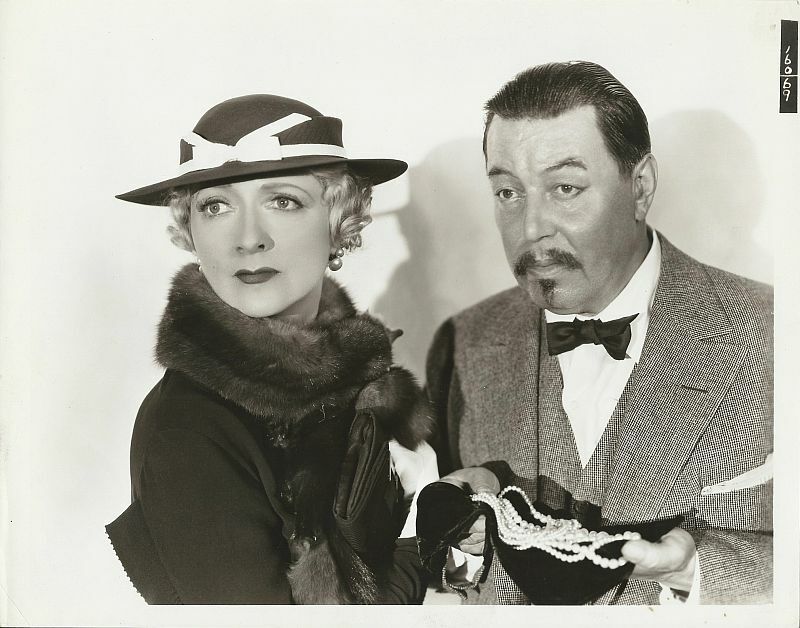 Bob Crawford and Paula Graham. 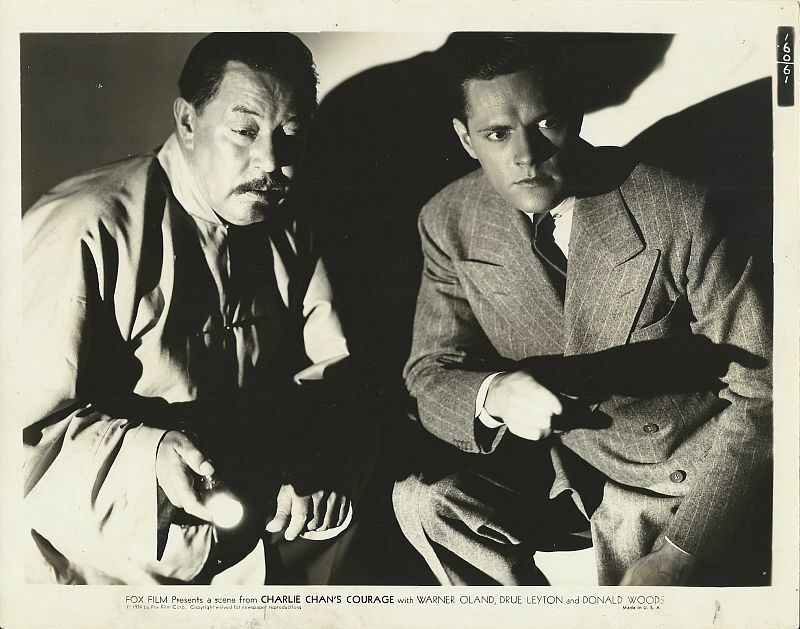 Bob Crawford with Charlie Chan as Ah Kim as they search the home of P.J. Madden. 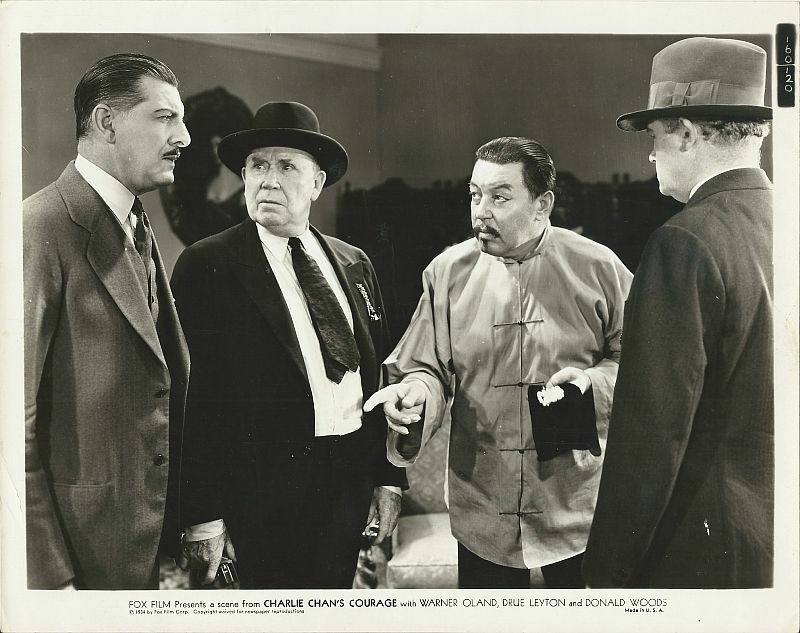 Charlie Chan and Bob Crawford search the home of P.J. Madden. 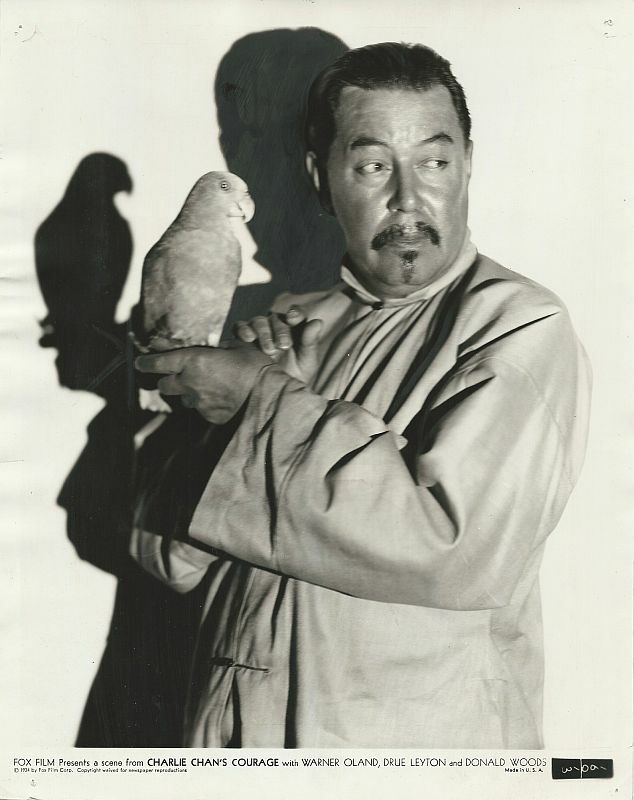 Charlie Chan disguised as Ah Kim with Tony the Chinese Parrot. 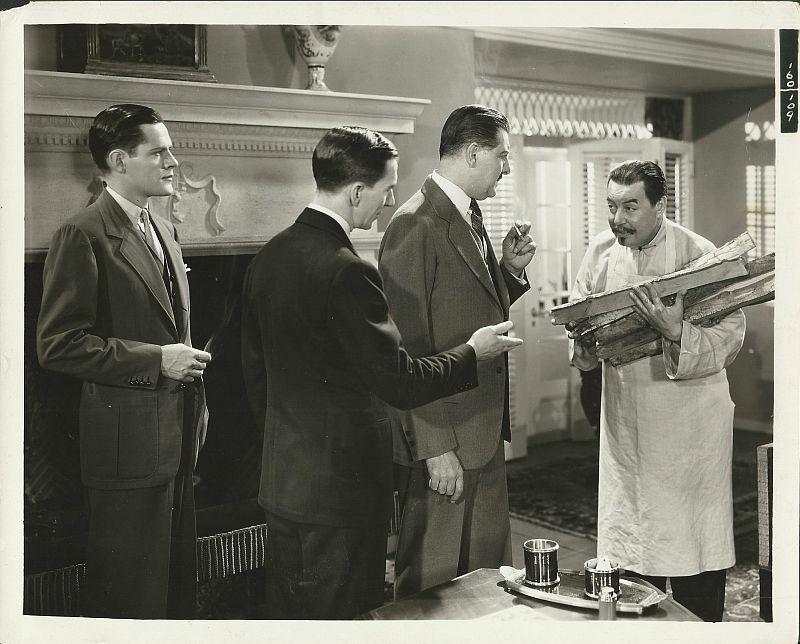 needs to sell the valuable Cavanaugh pearl necklace to P.J. Madden. communicate with him, repeating what he has heard people say. 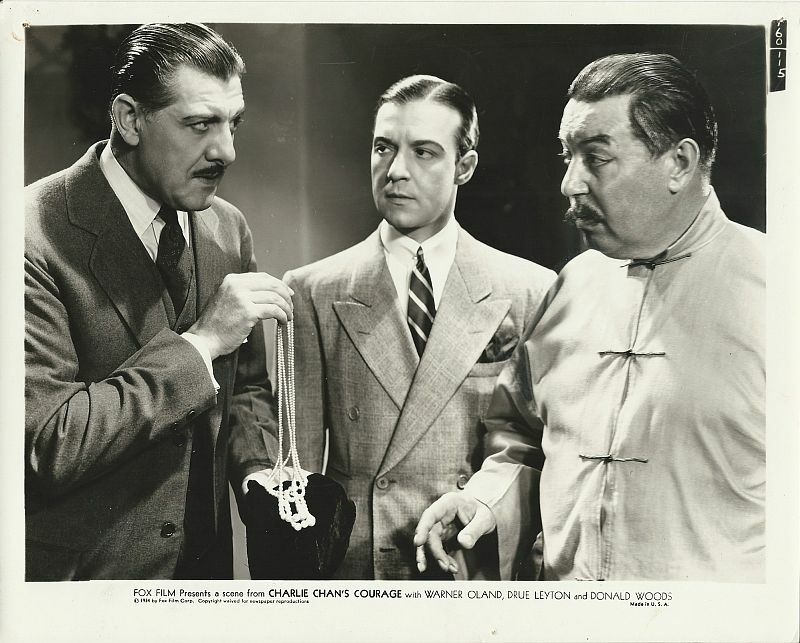 Charlie Chan and Bob Crawford find the lifeless body of P.J. 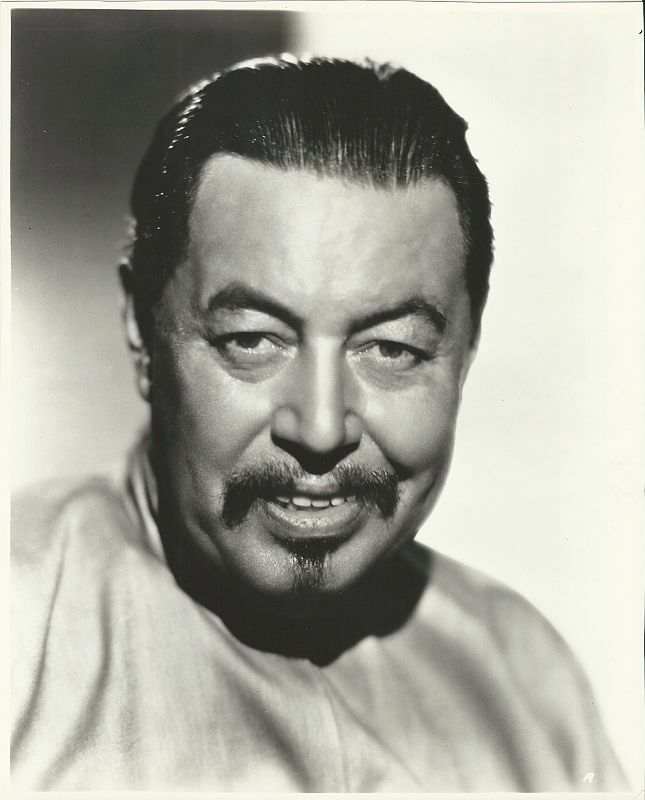 Madden's servant, Louie. 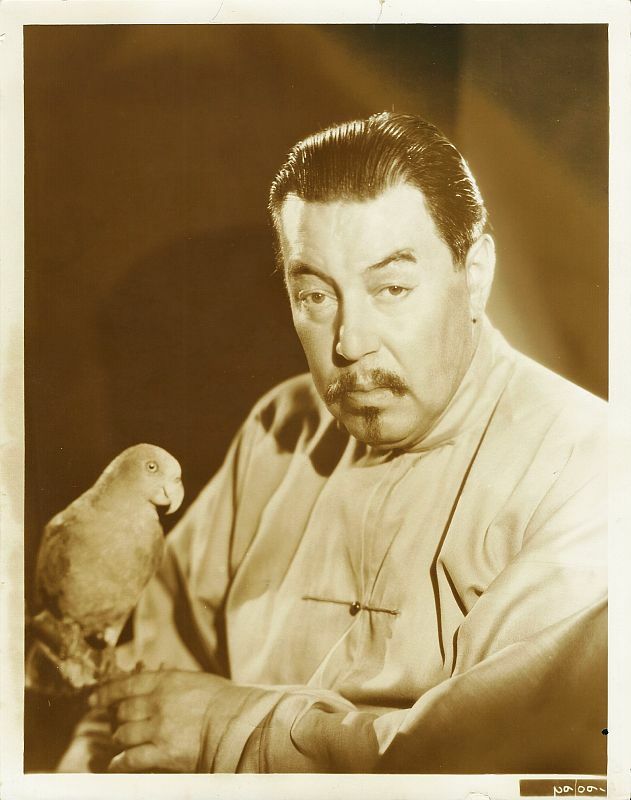 Tony the Chinese parrot is found dead. 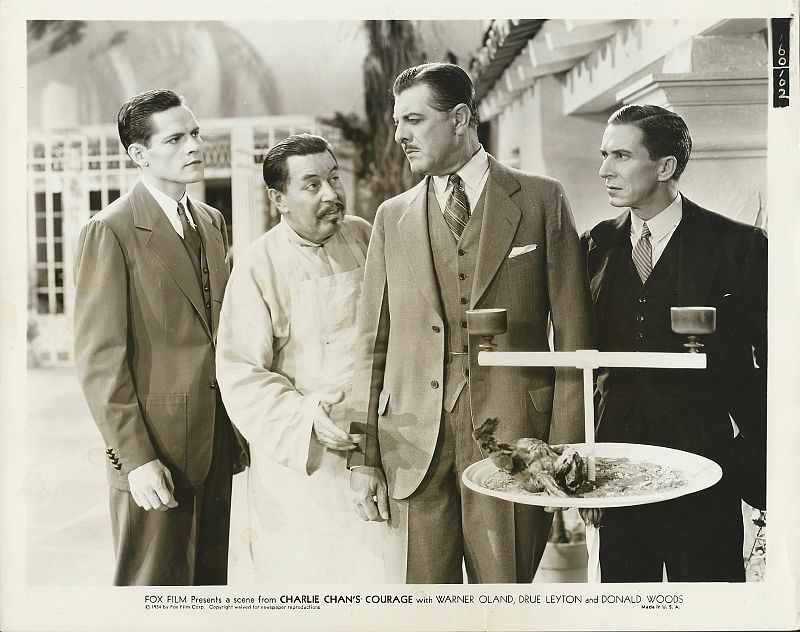 temporarily replace their regular servant, Louie, who is presently away. 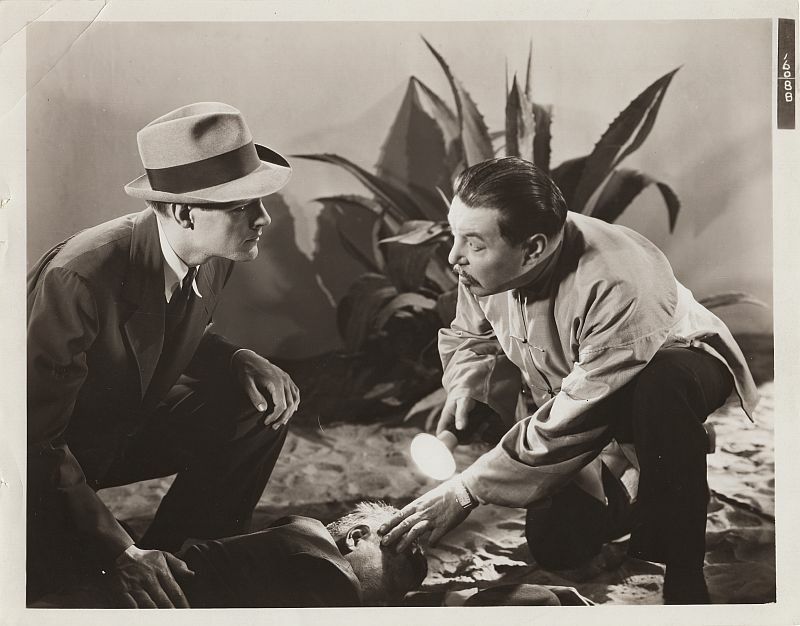 are alone there, finding a revolver that may provide an important clue. over the Cavanaugh Pearls to P.J. 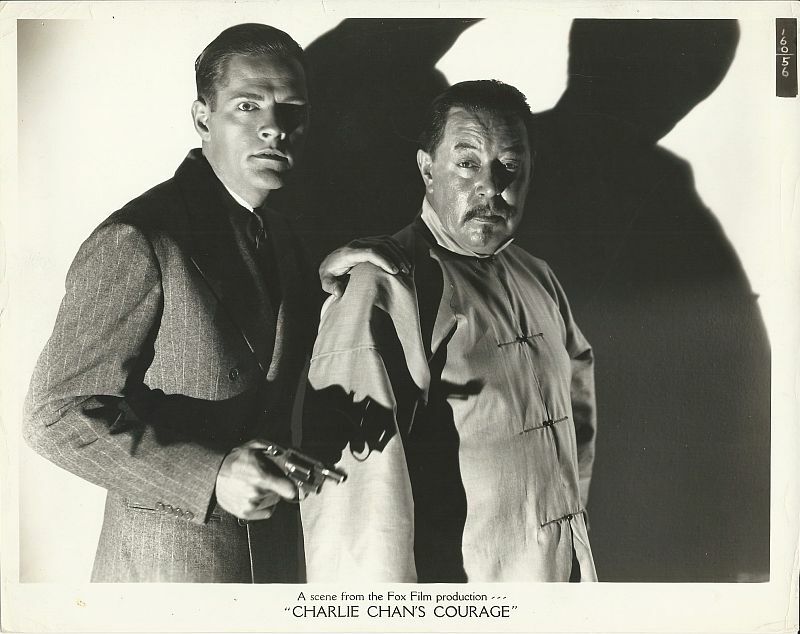 Madden as Martin Thorne looks on. for to use his ranch as a filming location as he had promised her before. 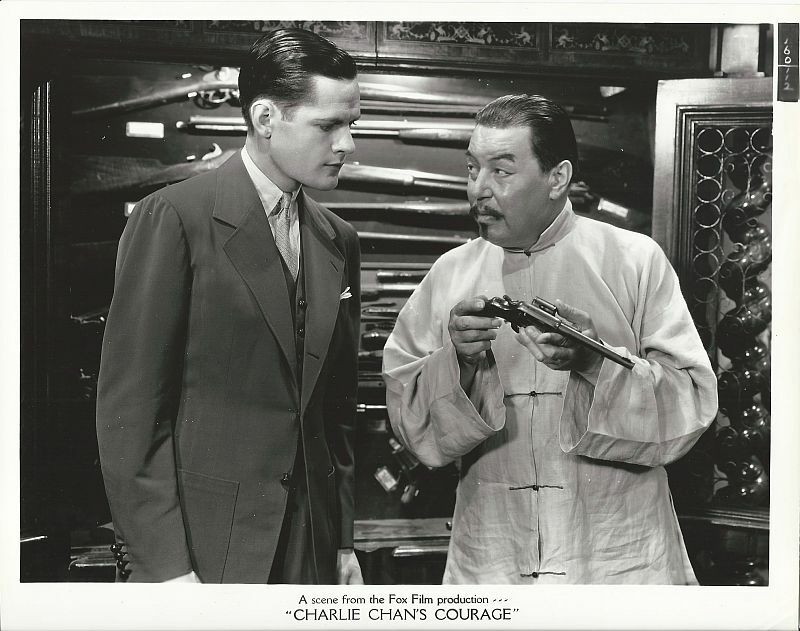 Constable Brackett asks "Ah Kim" for his citizenship certificate. 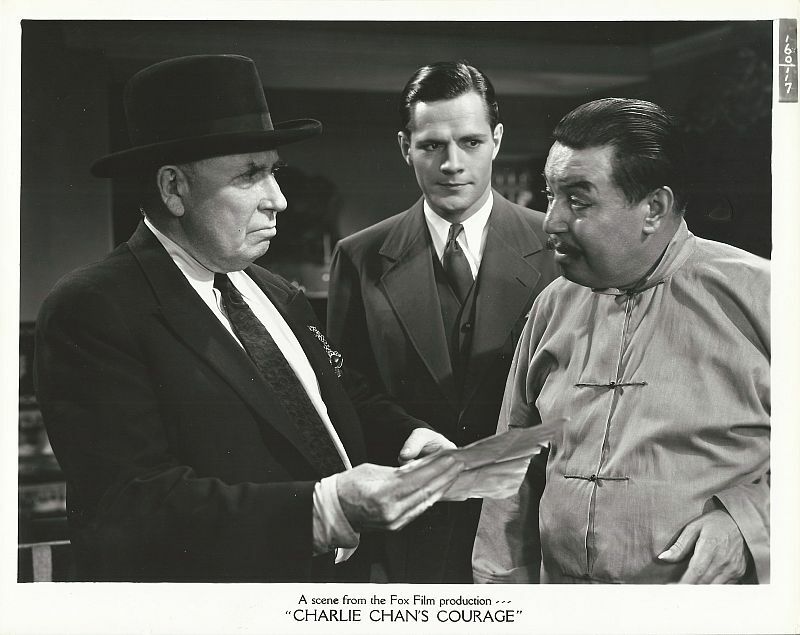 Charlie Chan declares to Constable Brackett, "He's Not Mr. Madden." 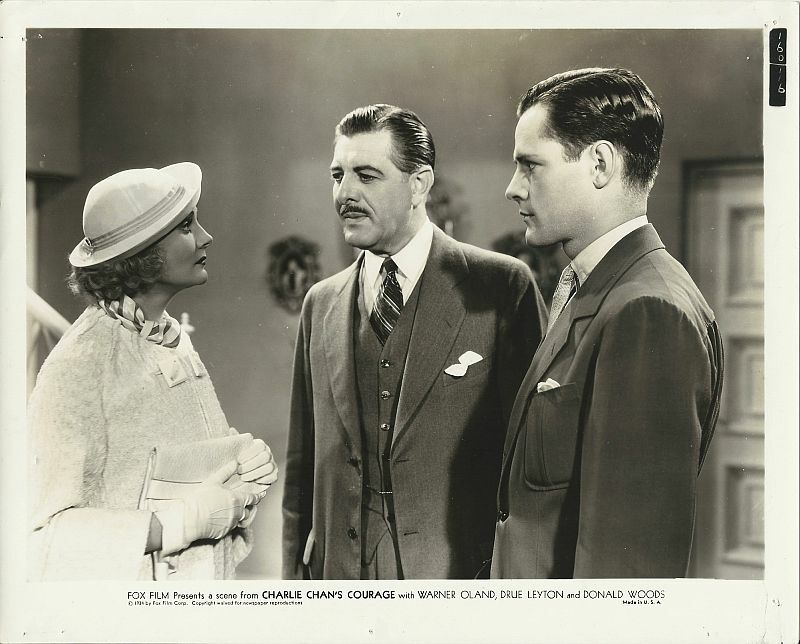 Bob Crawford rescues Paula Graham who was held captive at an abandoned mine. 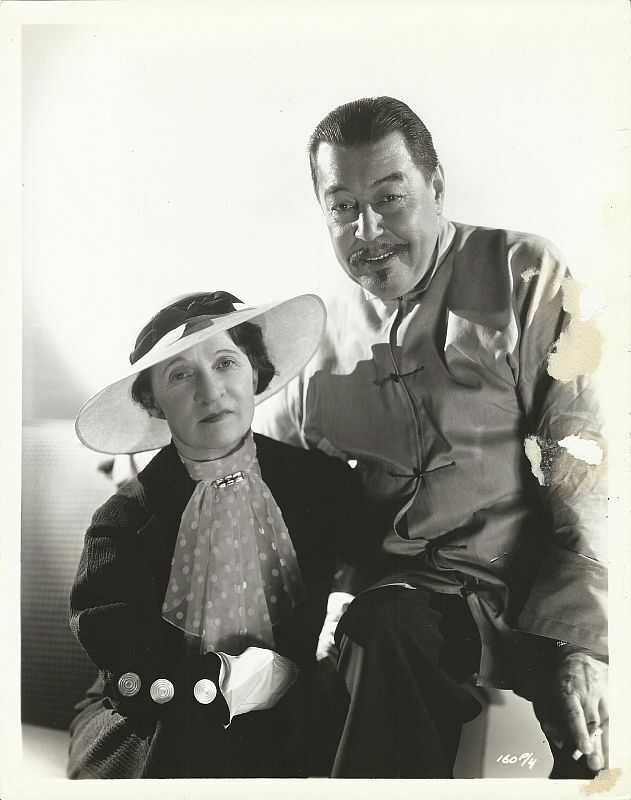 ever-alert cameraman caught them in this charming picture of one of Hollywood's most devoted couples." 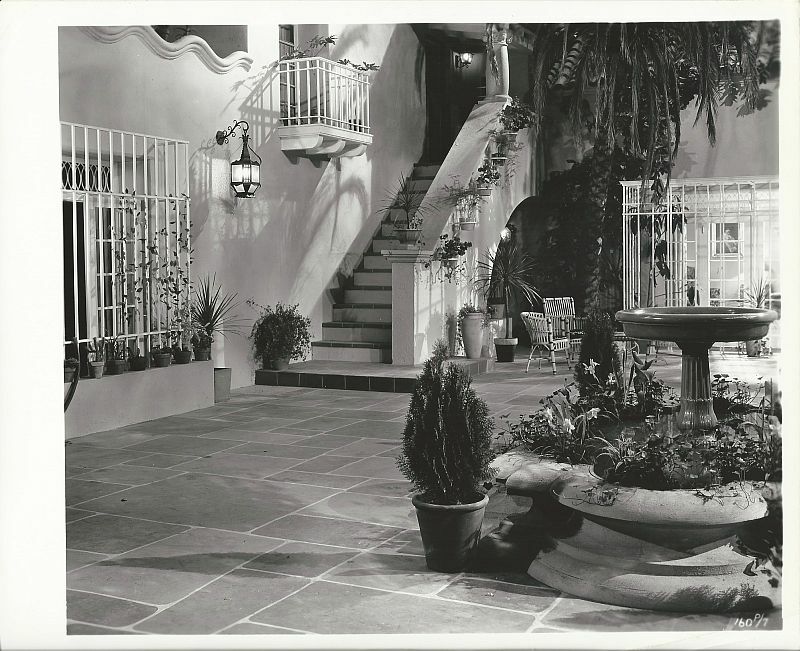 Set image showing the patio area of P.J. Madden's desert home.